Go To Work You Jerk! Today’s Daily Prompt: Work? Optional! I have never written the daily prompt before, but today’s subject lit something, not quite a fuse, a wick maybe? Anyway, I have a goal to write a book. That is the future so there’s not much to say about that work. The story is found in the past. Here is a brief and poorly written synopsis of my stories which are book-worthy themselves. Enjoy! I grew up in a working class family. My father studied forestry in college and relied on the timber industry in upstate New York. When the trees dried out, we moved to Montana with the three kids (and dog) in the back of a pick-up. Once settled in the dot of Marion, MT, my mother taught middle school. She was my math and science teacher the same year I experienced my first kiss. I was allowed to call her “Mom” and not Mrs. Wallace in the classroom, a privilege not many people experience, but I still accused her of favoring other kids and not me. 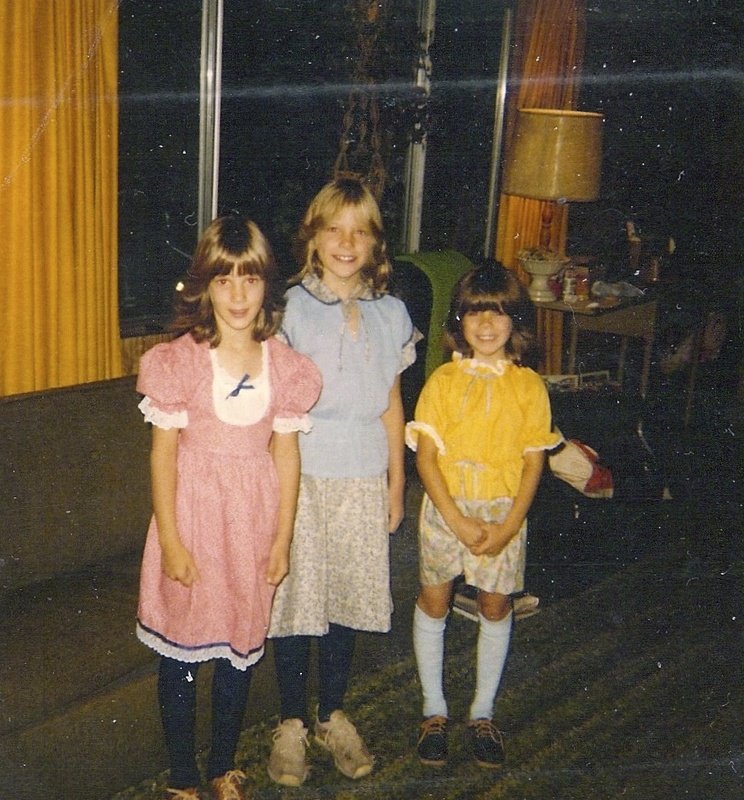 First day of school, 1979- That’s me on the left. My parents worked hard, and worked harder at home to keep peace amongst three girls who shared one bathroom. Their patience for us was off the charts, and I admire the perseverance they endured to keep us fed and clothed, with enough stamina leftover to laugh and play do laundry. My mother made, and still can make, one dollar last longer than anyone I’ve ever met. Growing up in this manner, I started my life of work picking strawberries at the age of 14. Mexican workers infiltrated the market and my turtle fingers couldn’t keep up with them, so I took babysitting jobs during high school. Babysitter was a kind term for the word exploited, as the expectations were to guard unruly children for eight hours and roast a chicken without a recipe at the going rate of $1/hour while Mom and Dad were out getting hammered. Drunk Dad would drive me home (God, please don’t let him try to touch me!) and breathe his alcohol breath while paying my full day’s wage of $8. 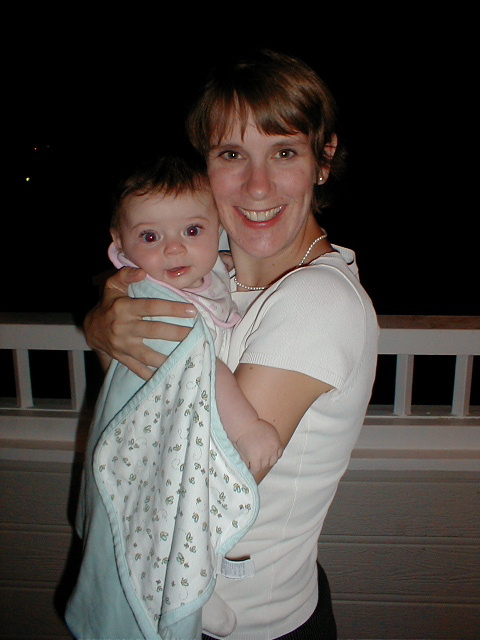 After high school graduation, to see the world, or a part of it, I worked as a nanny in Fairfax Station, VA. I liked the urban life of Washington D.C., but I hated (and still do) politics. After a year and a half of living with schmoozing suits, I moved back home to study. Officially a college student, I waited tables for five years to help the infinitely broken financial aid department pay for my education. Work was not optional as a young adult; episodes of non-work left me to subsist on barely enough. During such a period, one step away from scurvy (or so I felt), I was motivated to study in France for a semester abroad. Following in my father’s footsteps (kind of), I worked in the woods (that’s Montana lingo for doing forestry-type jobs) for two summers with my punk friends in the yew bark industry to help save money for this opportunity. (The chemical Taxol was extracted as a medicinal treatment for cancer patients.) A group of black-haired, black-eyed lumberjacks wasn’t what anyone expected to see in a lumber production, but we worked just as hard as anyone. And I did it! I traveled to France to study for a semester in the days when you could have the airplane’s entire row of seats to yourself. Well rested, I arrived in the country whose language has given my life meaning since Babysitter was my job title. The travel experience was life-changing and my worldview rests ever-larger because of it. After college, I married my amazing husband. We began a business (watch this video: Big Dipper Ice Cream, hurray!) during our engagement which was his brain child. I helped by contributing time, sweat, blood and, of course, the ubiquitous tears. I began my career by returning to school to acquire my Master’s in Education, this time following in my frugal mother’s footsteps. I entered the working world as a substitute teacher in Missoula’s public schools. Pregnancy ensued during the second year where you could find me crying in front of students for no reason whatsoever, and vomiting in the cafeteria garbage cans. Being mistaken as a pregnant high school student and told to go back to class when I was 29 was also an awesome perk! I worked until the due date, and ten days later came a healthy, vivacious girl who took my breath and pregnant-teen appearance away. The rest of the story can be found at Stay-at-Home Loser, if you wish to keep reading. I hope you do. Beautiful baby. Seriously, do I look like a teen? Loved your story. I will continue reading.